We’ve all been there, you’re having a glum Saturday, you’re slightly bored and you have the overwhelming desire to buy something. A desire that can only be fulfilled with some brand spanking new make-up. You pop into a few of your favourite beauty stores and come out with a receipt as long as your arm alongside that guilty/happy feeling. This happens to us on a regular basis! But at least it’s a great excuse to share our favourite picks with you! Let’s just call it research shall we…! First up, we headed straight to the Sleek stand, we have heard good things about their eye palettes and had to investigate! Happy to report that they have a fab range of palettes with a mixture of colours and shimmers. 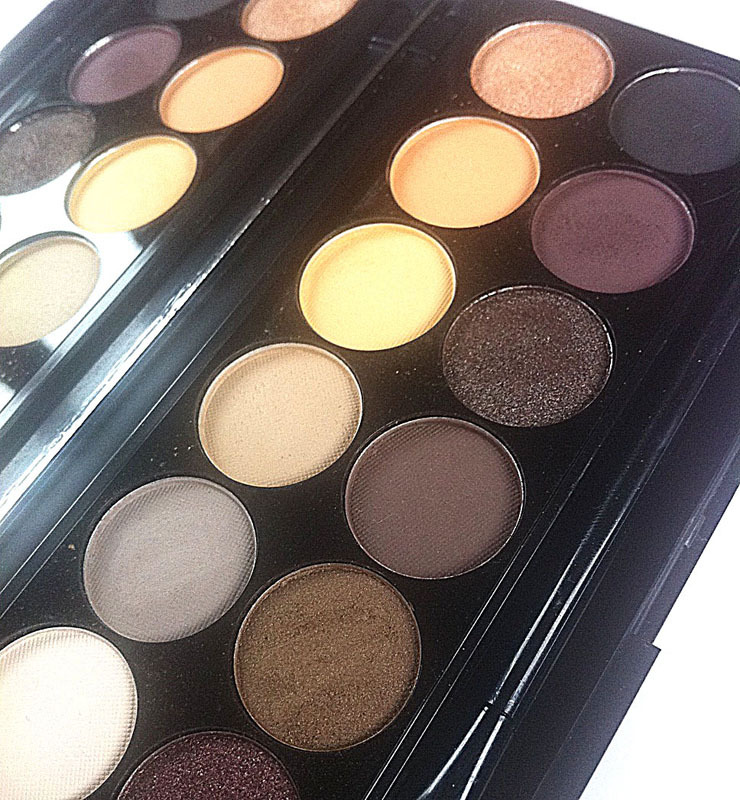 We picked up the Sleek Au Naturel Palette which contains 12 matte and shimmer shades. I think this palette is going to be getting a lotta lovin’ this Autumn! At only £7.99 we could have bought every single one, but we restrained. Also, we love the packaging, it has a great big mirror and its overall really minimalist and…sleek (?). We also spotted this Sleek Contour Kit in light (medium is also available) and it just looked too damn cute to not add to our trolley. It contains a contour and highlight duo, the contour shade is a slightly muddy dark taupe colour and you only need to apply a small amount to the shadow of your cheeks to contour. The highlighter is definitely the best thing about this palette, it is a beautiful champagne colour with a slight shimmer running through it. 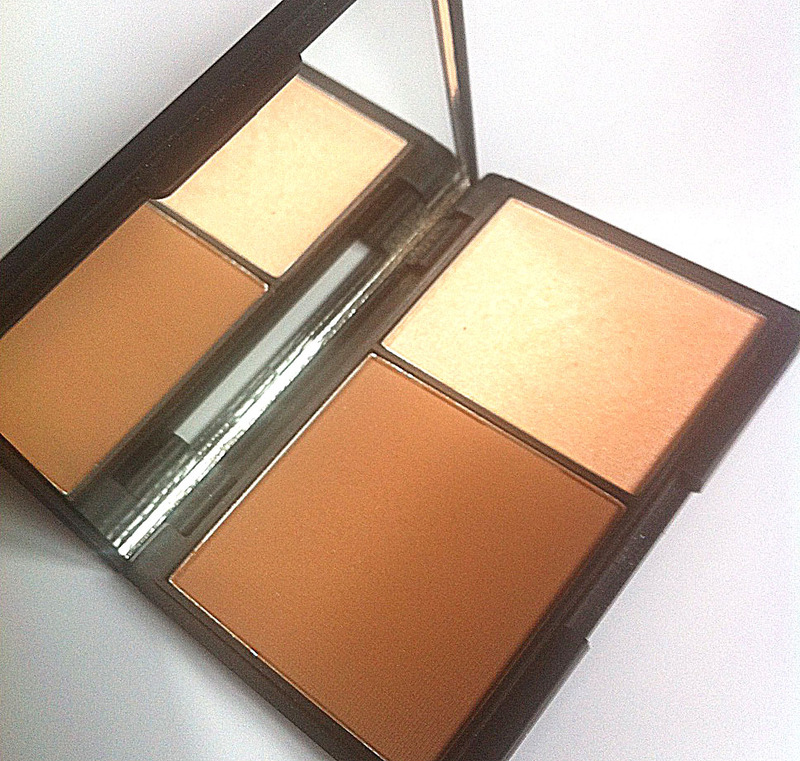 When applied to the skin it is subtle and makes a huge difference for an effortless glow. We couldn’t go shopping and not have a little peek at Bourjois! We picked the Bourjois Radiance Renewal foundation as it gives a nice full coverage without feeling too cakey and overall a great everyday foundation. Secondly, we gave in to the Bourjois Bronzing Primer. Now that the sun is saying bye-bye for another year and our summer tan seems to be a thing of the past, we thought we’d give this primer a go. It applies like a mousse and you only need to use a tiny amount to give a slight sun kissed glow. We also picked up the Rimmel Apocalips in Luna which we are obsessed with at the moment, it applies really easily and once you let it dry it has some serious staying power. It’s not drying on the lips and is a really fuss-free product for lazy girls who want a low maintenance lip. They have some lovely reds and pink shades but we thought this shade was a bit different, although we will be trying a few more colours from the range! Lastly, we couldn’t leave without picking up a new nail polish. We stocked up on a few autumnal shades that will be adorning our talons this season. 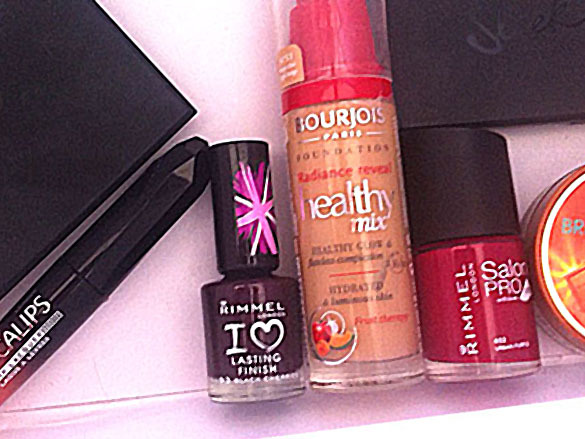 We landed on Rimmel Salon Pro in Urban Purple and Rimmel Lasting Finish in Black Cherries. Dark berry shades are big this season and we couldn’t wait to try these out, Black Cherries is a classic deep berry with a slight shimmer running through it and Urban Purple is a pinky-purple shade which looks really unique, we can’t stop doing backward jazz hands! So that was our Autumn beauty haul! Its hard to believe this was all bought in the space of 10 minutes! Phew!